Under construction. Available for move-in January 2019. Located in the sought after, gated-golf course community of the Estates at Sweetwater Country Club. The Sheffield model located on a corner lot offers 4 large bedrooms, 2.5 baths, an upstairs loft and an inviting open floorplan that 8217;s great for entertaining. Features a spacious great room floor plan with hardwood floors, vaulted ceiling in family room, 8 8217; doors throughout 1st floor, gourmet kitchen with quartz countertops & butler 8217;s pantry, over-sized center island, 42 8221; designer cabinets, 5 188; 8221; baseboards, and much more. The down stairs master retreat has an oversized walk-in closet, dual vanities in bath with a huge walk-in frameless glass shower with rain shower. Residents will enjoy a variety of amenities in the neighborhood including an 18 hole, 72 par golf course, a new community pool & clubhouse with fitness center, restaurant, and pro shop. HOA fee includes lawn maintenance and a social membership to the golf course. 49 single family homes sites all with Spanish Colonial architecture, tile roofs and brick paver driveways. Easy access to I-4, 429, shopping, dining and recreation. Located right across the street from Wekiva Springs State Park. Please, send me more information on this property: MLS# O5744893 – $459,990 – 2560 Roveri Ave, Apopka, FL 32712. 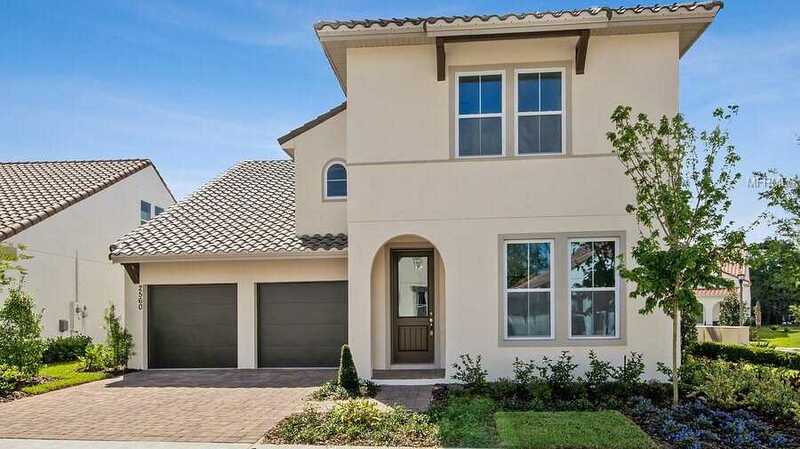 I would like to schedule a showing appointment for this property: MLS# O5744893 – $459,990 – 2560 Roveri Ave, Apopka, FL 32712.